Recently an omnivore friend of mine called for advice: he was taking a vegan girl out on a picnic for a date (d’awww) and wanted to know what to make that would be most impressive. I suggested he make a vegan lasagna, which always impresses my meat-eating manfriend. While lasagna does take a bit of time to prep, it’s easy to make, and pretty easy to tote around so long as you can tuck it into a picnic basket and load it into the car. So, before fall comes to a close, pick out a recipe and take your favorite vegan out(side) on a date. I typically make my lasagna with a tofu cashew ricotta I adapted years ago from Isa Chandra Moskowitz’ holy grail of vegan cooking, Veganomicon. Cook noodles per package, making sure to rinse with cold water (for texture!) when done. I tend to avoid no-cook lasagna noodles because they always end up a little crunchy. While noodles are cooking, whip out a large pan and saute garlic in a bit of oil. Add broccoli, peppers and spinach and cook lightly. They will continue cooking in the lasagna so I just lightly do ’em up. Add a light layer of tomato sauce to the bottom of lasagna pan, then add row of noodles, 1/2 ricotta recipe, 1/2 veggie mixture, 1/3 basil and more sauce. Repeat again with noodles, rest of cheese, rest of veggies, more sauce, and another layer of noodles. Pour more sauce over the top and sprinkle with more fresh basil. I usually use about 1.5 jars of sauce, not the full 2 jars. You want it to be pretty saucy since much of the sauce will soak up. Bake covered in foil for 25 minutes. Uncover and bake another 10 minutes. Let cool for 10 minutes before eating so the shape sets. Dash of red pepper flakes – just enough to make things interesting. Step one: Throw all ingredients in a food processor or high-powered blender and let ‘er rip! Of course you want to make something dirty for a date. This recipe is from my cookbook, The Lusty Vegan, and it really is great date food fodder, because it’s relatively easy to whip up and doesn’t require any impossible to find (or pronounce) ingredients. Phew! I think this PPK recipe is called everyday pad thai because, if you’re like me, you can eat pad thai every damn day. It’s quick (only 30 minutes), easy and certain to impress your date. But what about dessert!? These Super Food Fudgsicles are done up by the sweet vegan Hannah Kaminsky and feature only 5 ingredients (four if you don’t count salt), all of which can be found at your local trader Joe’s or Whole Foods. For al fresco enjoyment, you will need to pack these babies in a cooler – they are frozen, after all. So what do you make for your vegan date? Want more from Zoe? 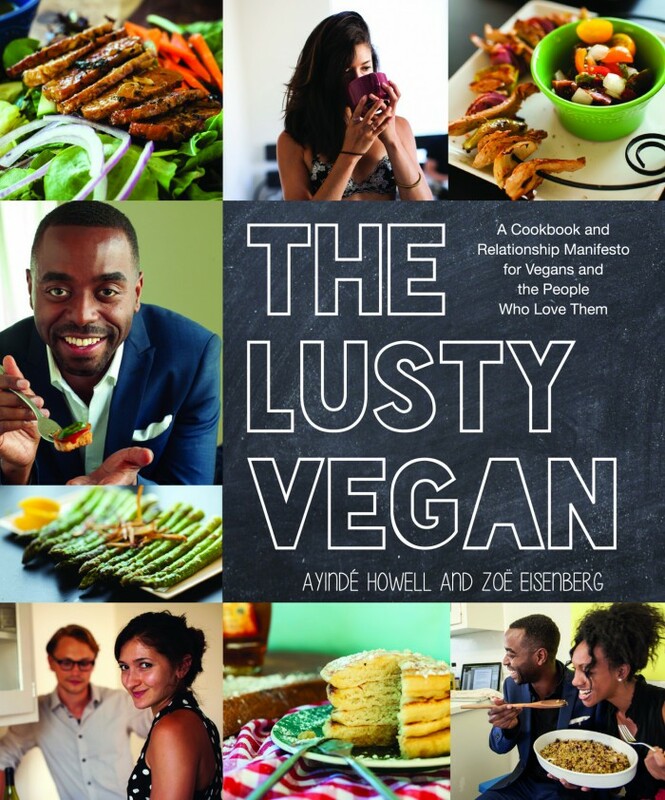 Follow her on Twitter and Instagram, and don’t forget to check out her book, The Lusty Vegan.